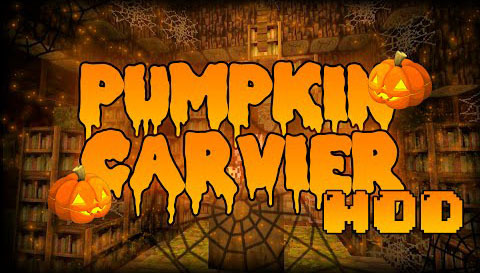 Pumpkin Carvier Mod allows the player to carve custom pumpkin faces. 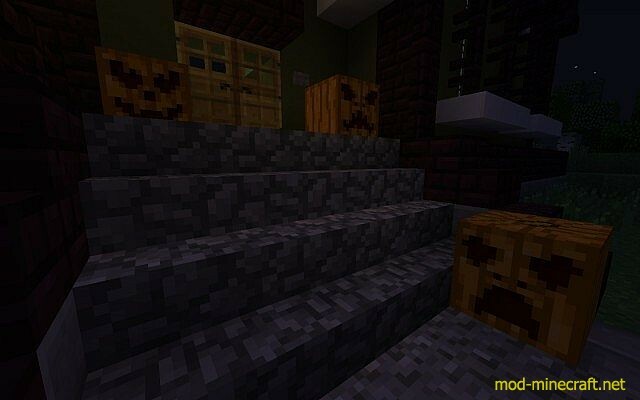 It may happen in Halloween but in Minecraft, you can carve pumpkin faces with this mod wherever you like. This becomes convenient. To carve a pumpkin hold shears and right click on the part of the pumpkin you want to carve out. To turn a pumpkin you sneak and right click on the left half of a side to rotate clockwise and on the right half to rotate counter-clockwise. To make a pumpkin a jack o’lantern right click on it with a torch. 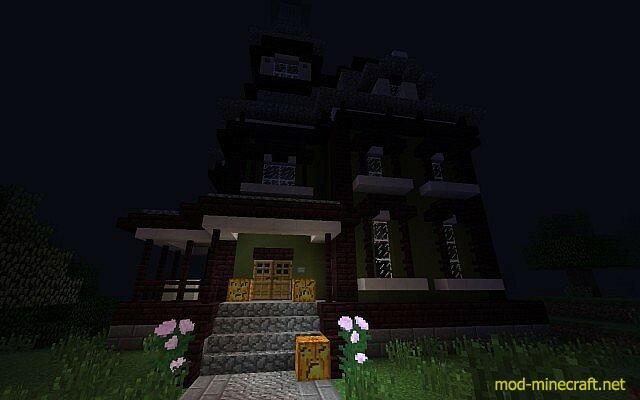 To make a jack o’lantern a pumpkin right click on it with an open hand to remove torch. 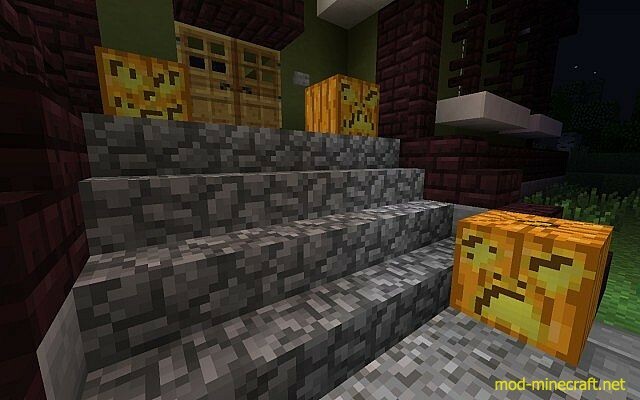 Pumpkins and jack o’lanterns retain their carving when mined and the direction the player is facing when the pumpkin is destroyed determains the front face of the pumpkin.